The recently replaced flag of Iraq has three stars in its middle band, representing a stillborn alliance between the great Arab nations of Iraq, Syria, and Egypt. Though the wave of post-colonial Arab nationalism that sparked the would-be alliance is today no more than an episode of history, the three nations remain bound by a common religion, language and cultural identity. Of the three, Egypt alone has been a firm ally of the United States for 25 years, despite the general opposition of Egyptians to America’s support of Israel, its campaign in Afghanistan, and the current war in Iraq. Egypt has only recently emerged from a vicious struggle between state security forces and Islamists seeking to overthrow the government through a campaign of terrorism and assassination. In the fight for Egyptian “hearts and minds” the regime has traditionally relied on the scholars of an ancient institution in the heart of Medieval Cairo. Al-Azhar (“The Brilliant”) was founded in 970 AD as a Shi’ite mosque and center of learning by the ruling Shi’ite Fatimid dynasty. After Saladin expelled the Fatimids in 1171, the university’s scholars began to act as guardians of an orthodox interpretation of Sunni Islam. Since the beginning of the 19th century, however, the institute’s refusal to consider the implications of rapid modernization outside its walls led to a growing alienation from a ruling elite unable to ignore these changes. This dichotomy grew until Gamal Abdel Nasser brought the independence of al-Azhar to an abrupt end by placing the university under the direct control of the president’s office. The president would henceforth select the Grand Shaykh, and all the university’s scholars became state employees on the government payroll. The transformation of al-Azhar into an institution whose role is simply to give religious approval to government decisions has not been without opposition. To some extent the growing militancy and independence of the institution’s junior scholars has been channeled into social issues. When called upon, however, the university’s leadership has been ready with approval of controversial political actions, such as the signing of the Camp David accords and participation in the Gulf War of 1990-91. Though cosmetic changes have been made to the curriculum in recent years, al-Azhar’s rigid orthodoxy and compliance to the state fails to appeal to either Egypt’s secularists or militant Islamists. The result is a reputation greater beyond Egypt’s borders than within. The university has been at the front of anti-colonial struggle once before. Shortly after Napoleon took Cairo in 1798 the city erupted in a rebellion centered on al-Azhar. The revolt was led by a number of lesser shaykhs and imams while the great shaykhs of the university held back, waiting to see how things went before committing themselves. After French artillery finished the rebellion scores of rebels and scholars were executed while Napoleon gave public forgiveness to the great shaykhs. Though much criticized for this gesture by his own men, Napoleon still sought the approval of the university’s leaders for his posture as Guardian of Islam. Quiet encouragement of the revolt was as close as al-Azhar’s leadership ever came to opposing the governing authority in Egypt. The division in 1798 between al-Azhar’s militant junior scholars and a more cautious leadership is similar to the rifts in al-Azhar today as the university struggles to respond to calls for rulings on the legitimacy of the anti-Coalition jihad in Iraq. 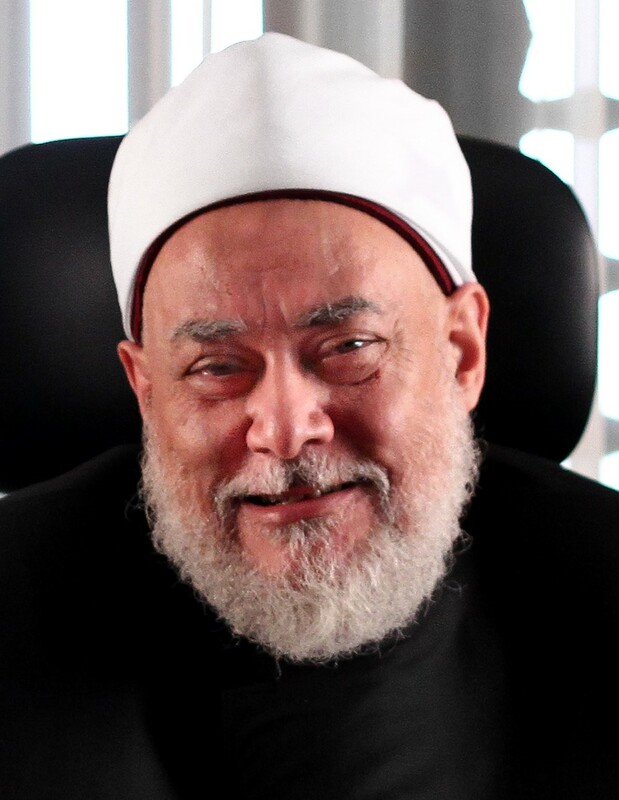 It is a role the Grand Shaykh of al-Azhar, Muhammad Tantawi, has declined, for reasons closer to Egyptian state policy than Koranic interpretation. Since his appointment, Tantawi has been heavily criticized for his close ties to the state and failure to assert the independence of al-Azhar. The schism between Tantawi and less pliant scholars of al-Azhar often takes the form of competing fatwas, creating confusion for Muslims seeking guidance from the institution. The Egyptian regime regards public demonstrations as a threat to order, and the angry protests at al-Azhar earlier this year against Israel and the United States (the “originators of terrorism” according to the chants) led to the arrest of 54 Islamists, mostly members of the powerful Muslim Brotherhood. One of the charges against the Brotherhood was that they were preparing to send members to Iraq and other conflicts in order to gain military experience. The death of a leading member of the Brotherhood from injuries suffered in detention has revived fears of renewed state repression of the Muslim Brothers and other independent Islamists. In an effort to keep individuals and organizations from tapping into the great wave of popular anger over Egypt’s alliance with the United States, authorities have clearly stated that “legitimate support for the Palestinian and Iraqi resistance” will not be allowed to threaten the stability of the state. In the opening days of last year’s Iraq campaign, the government found itself faced with thousands of Egyptians demanding an opportunity to join their Arab brothers to drive off the coalition of “unbelievers.” The government assured the volunteers that nothing would stand in their way. Tantawi also gave his approval, saying that “Combating injustice is a religious duty… We do not prevent anyone from going to help those who are facing injustice.”  Those who followed government instructions were given forms to fill out, rather than weapons. In the end, most of the volunteers added a sense of betrayal to their anger as the government buried their attempts to fight in the red tape of Egypt’s formidable bureaucracy. In March 2003 Shaykh ‘Ali Abu al-Hassan, the chairman of al-Azhar’s fatwa committee, ruled that it was obligatory to fight Coalition forces in Iraq, and that the blood of American and British soldiers was “permitted.” After representatives from the U.S. and UK embassies visited al-Azhar with concerns over the statement, Tantawi fired al-Hassan, who, two years earlier, had called for all Muslims to give armed resistance to U.S.-led forces in Afghanistan. Only a few days later, however, the University’s Islamic Research Center urged Muslims to take up jihad against a “Crusader invasion.” Tantawi read and approved the fatwa, but did not sign it. Al-Azhar later issued a “clarification,” asserting that “Islam was not and will not be at war with Christianity.”  Nevertheless, Tantawi continued to make verbal calls for jihad in Iraq by all means (including suicide operations), but no longer gives encouragement to Egyptian fighters eager to join the conflict. In August 2003, Azhari Shaykh Nabawi al-Eish issued a fatwa banning recognition of the Iraqi Governing Council. After a well-publicized meeting with the American ambassador, Tantawi dismissed el-Eish and insisted the ruling was only “a personal opinion.” Although the fatwa had the support of many Islamic scholars, Tantawi insisted al-Azhar had no right to interfere in the affairs of other nations. 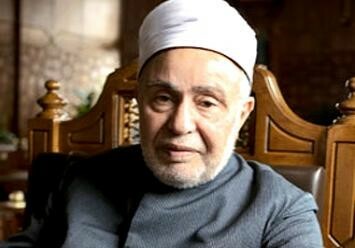 Tantawi’s unexpected rejection of al-Azhar’s traditional role as a center of spiritual guidance for the entire Islamic world did immense damage to the university’s reputation. Many Azharis supported al-Eish, and the affair was followed by another demonstration at the university in support of the Iraqi resistance. One reason for President Hosni Mubarak’s reluctance to have thousands of Egyptian Mujahideen fighting in Iraq was revealed on June 11, when Egypt received an additional $300 million dollars in U.S. aid as compensation for economic damage of the Iraq war and as encouragement for liberal reforms. Despite the failure of the privatization campaign, Egypt was also given U.S. loan guarantees for an additional two billion dollars. As the second largest recipient of U.S. aid (after Israel), Egypt already receives $2 billion per year in exchange for its peace treaty with Israel. The President is in a precarious position, in absolute need of the American aid that threatens his credibility within Egypt and restricts his attempts to restore Egypt’s position as a leader of the Arab world. The Islamists reject American aid, but have little to replace it with, other than “God’s protection.” Mubarak, like the Saudi royal family, fears that George Bush’s Middle East reform initiatives will target America’s allies as well as enemies. The usefulness of al-Azhar for Islamic confirmation of government policy is also in question, again a consequence of the regime’s own insistence on controlling all political voices. For many Egyptians, the impression that al-Azhar now consults with the American ambassador on its rulings has destroyed Tantawi’s remaining credibility. Anything short of a meaningful transfer of power to Iraqis on June 30 will provide extremists with further ammunition in their campaign to topple an “apostate” Egyptian regime. Today Egypt stands at the brink, its leaders attempting to satisfy the conflicting demands of its foreign partners as well as its secular, Islamist and military constituencies. Azhari professor ‘Abd al-Azim al-Mut’ani warned shortly after 9/11 that “Even if the present [Arab] regimes support America, these regimes are only passing clouds. They do not enjoy stability; stability is in the hands of the people…”  Exposed daily to horrific images of suffering and brutality from the Iraq campaign and the Palestinian conflict that are rarely broadcast in North America, many Egyptians are experiencing a groundswell of anger against their American patrons. A descent into a renewed cycle of terrorism and repression may be only a videotape away. Al-Sharq Al-Awsat (London), March 20, 2003. It is interesting to note the growing number of Muslim scholars who now assert that both Christians and Muslims alike oppose the Bush government’s conduct in the Middle East, often citing statements by both the Coptic and Roman Catholic popes.